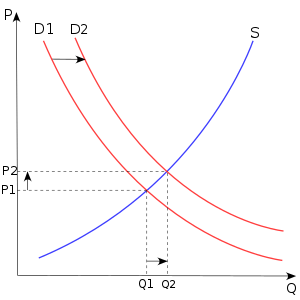 The breakeven sales analysis, part I: a change in price, will find a mathematical answer to the question: how much would the sales volume have to increase to profit from a price reduction? This metric is very useful because so many times we assume that a reduction in price will increase automatically the sales volume and overcompensate the reduction in price. In the example attached we can see how a 10% price reduction will need an increase of 72.21 % in the sales volume to compensate the price reduction. How to apply this concept: If you Know somehow your demand function of a specific product, and if you believe that this 10 %reduction will cause and increase over 72 % of the sales volume, then, is a good reason to cut the price. Another good reason for price reduction is a change in price policy, if you are going from a skim policy to a neutral or from neutral to penetration then a reduction in price make sense, but be aware of the consequences in revenues. Note that the model provided also works in the opposite direction, when trying to increase prices. In this case the question would be: How much would the sales volume have to decrease to profit from an increase price? This entry was posted in Marketing and tagged Break-even, Business, Marketing and Advertising, Sales, Salesmanship. Bookmark the permalink.